WIN with Wade Bales ClubW and DINE4SIX! Win a month Silver Membership to the Wade Bales ClubW. 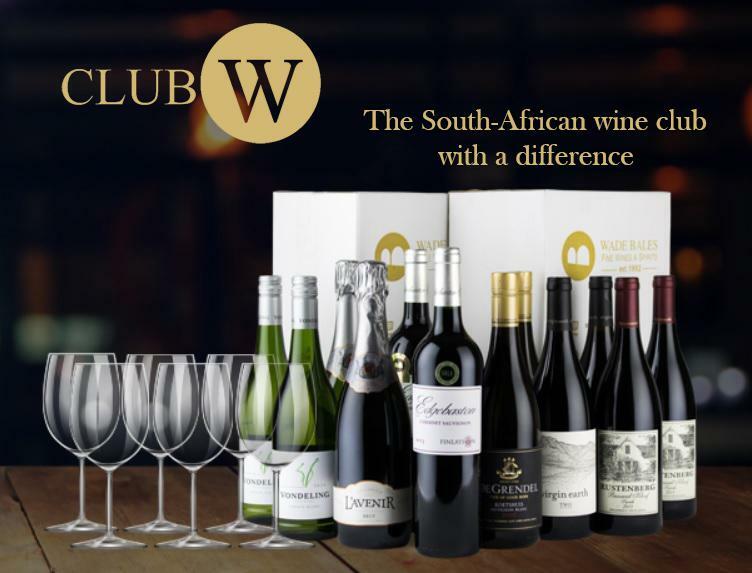 Wade Bales ClubW & DINE4SIX are giving away 6 bottles of wine every month from December 2018 - February 2019. Sign up on www.DINE4SIX.com to keep up with our latest social dining experiences. - If you've already signed up simply tag a friend in the competition post on Facebook! What is the slogan of ClubW? Competition only open to residents of the Republic of South Africa. Two winners will be chosen by random selection of correctly answered entries. The winners will be announced on 2nd of January 2019 on the DINE4SIX Social Media platforms and the newsletter. The winners will be notified via email and/or telephonically. The winners must claim their prize within 48 hours, or a new winner will be selected. By entering this competition and adding your details to this form, you agree to be added to our monthly newsletter database. By entering this competition you confirm that you are 18 years old or older. DINE4SIX reserves the right to amend the terms and conditions as well as terminate the Competition at any time if deemed necessary.